Do you love to travel but don’t particularity care for the rules? There is a variety of offbeat travel groups that are breaking norms and exploring new ventures of travel and lifestyle. From road-tripping in caravans to senior groups globetrotting together, these groups and tour guides are sure to get you to leave your comfort zone. Ditch your car and take to the roads with a caravan with Trippy Wheels! Feel like a snail with a house on your back as the caravans are fully furnished with a stove, basic ingredients, an AC and bed (along with charging points for you phone addicts). You can opt to hire a driver if you just want to relax and enjoy the views along the road, so what are you waiting for? Head off into the sunset! Curating offbeat tours and treks, Plan The Unplanned is sure to get your friends' circle to attain their #SquadGoals. 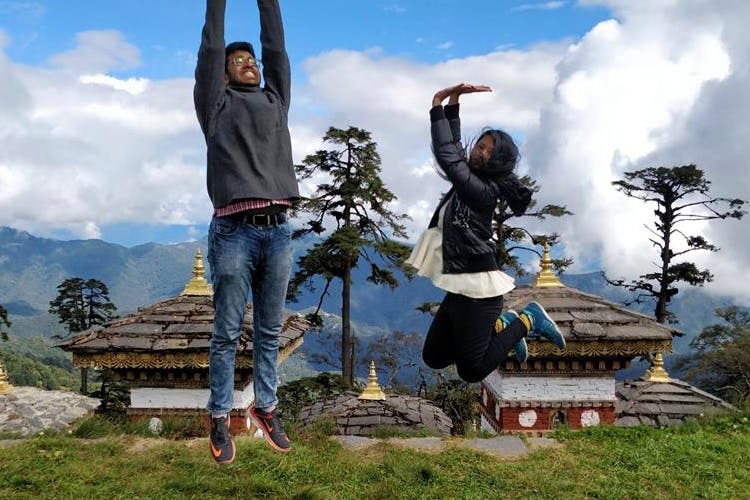 From backpacking through Bhutan and camping in Karwar up in North Karnataka, you can choose your destinations that are budget friendly as well. Meet like-minded people during travel and bring home memories and some new friends. Calling all bikers is guided tour company IndiMotard Adventures that bikes across countries! From riding across the length and breadth of Sri Lanka, Cambodia and even South Africa, imagine an all-inclusive tour to the Himalayas where everything from logistics to stay is taken care of. The tour brings you close to nature, culture, food and people. If you thought life was coming to an end after 50 years, this travel club will prove you wrong. Along with an activity center exclusively for senior citizens, they conduct a variety of leisurely paced and comfortable small group tours. Ensuring variety of difficulty levels and personal attention, they take care of every small need through your journey. Get in touch with your nomadic self with AMadNomad, from adventure tours in Gokarna to camping trips in Agumbe and Ooty, breakaway from regular city life and take the path less travelled. Challenge yourself to the rough and tough trek of the Western Ghats among others. Most of their packages are within the price range of INR 3,000 to INR 8,000. Do you want to go deep-sea diving to find Nemo? From paragliding to white-river rafting, close your eyes and pick any part of the country so that The Great Next can live up to their name and show you what great is coming for you. For you noobs, most of their tours are of the beginners’ level so sign up for some alone time.